Ever since Uma's family immigrated to the Moon Utilitarian Survival Colony, she's dreamed of going back to Earth--but not as a stowaway. Passing as an Earthling is easy for this budding scientist, but if Uma doesn't return to M.U.S.C. soon, her mother will be forced back to the grueling life they escaped on the Wastelands of Earth. But, before Uma can return to the Moon, she meets Talitha, a beautiful and clever Earthgirl. "You and I were written in the stars," Uma says as they peer up at the night sky. "I would give the world to be with you," Talitha tells Uma. Little do they know, each is keeping a secret from the other. Now these star-crossed lovers face an unthinkable choice: true love or the lives of their loved ones. Whatever Uma and Talitha decide will determine not only the fate of their families but the future of the moon. 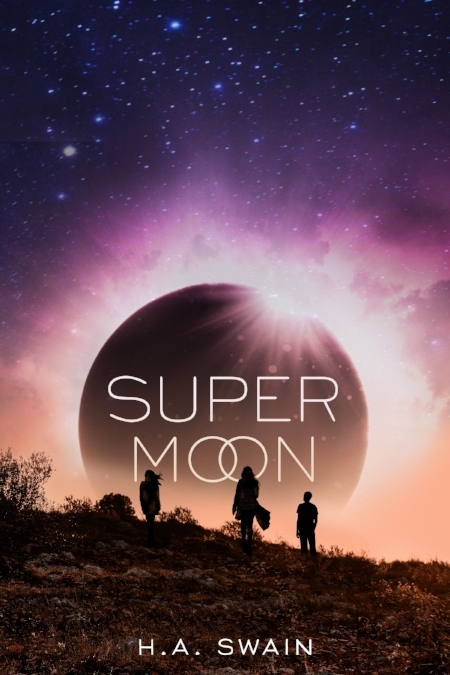 Equal parts futuristic romance and sci-fi thriller, SuperMoon shines light on the perils and possibilities of intergalactic love and adventure. In this star-crossed romance, two teenage girls―one from Earth, one from the Moon―forge an unexpected connection, but the secrets they hold threaten to derail a happily ever after. After defying orders and sneaking away from the lunar colony where she’s lived for the past decade, Uma Jamison revisits Earth, where she was born. While there, she encounters Talitha Neva, who makes a living as a scavenger and pseudo-celebrity streamer in AlphaZonia, a privatized city catering to the rich and spoiled. With Uma on the run from her own people and local security, she finds safety and companionship with Talitha, not suspecting that her new crush is looking for a runaway Moonling on behalf of a ruthless corporate overlord... Swain’s fast-paced novel offers an engaging story line, a strong narrative voice, and intriguing worldbuilding. Swain’s thrilling sci-fi novel offers a glimpse into a plausible future if Earth’s environmental concerns aren’t addressed by society.... SuperMoon takes readers on an unforgettable ride into the cosmos while tackling weighty questions about Earth’s future. At #4, we have H.A. Swain's "SuperMoon." In this sci-fi story, teenager Uma is one of many Moon soldiers who have relocated from Earth to build a new life. When an Earth-born girl finds her way to the moon colony, Uma is enchanted. She's also in danger: her new friend might have an ulterior motive to infect her with a harmful virus and wipe out life on the colony. But as feelings grow between the two girls, all bets are off. Zimri Robinson, a natural musical prodigy, is a “plebe”—a worker at the enormous warehouse that supplies an on-line marketplace that has supplanted all commerce. Her grueling schedule and her grandmother’s illness can’t keep her from making music—even if it is illegal. Orpheus and Zimri are not supposed to meet. He is meant for greatness; she is not. But sometimes, rules are meant to be broken. Gifted by H.A. Swain is a thriller, love story, and social experiment that readers will find gripping—and terrifying. A hilarious take on the paranormal trend–Twilight meets The Breakfast Club! When former good girl turned rebel Josie Griffin gets busted for what was in her mind perfectly acceptable revenge on her cheating dog of a boyfriend, she lands herself in anger management therapy. It could be worse: it could be juvvie, or she could be a zombie cheerleader like the rest of her former friends. But there’s something strange about therapy–these are not normal kids. There’s the wannabe ladies man with a weird accent, Johann; the blindingly gorgeous Helios; Avis with his wild dreads; and Tarren, the sprite of a girl with a wicked temper. 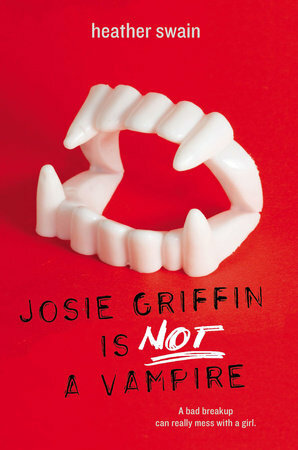 And all of them keep talking about “powers.” Josie knows that has to be impossible, but strange things start happening, and nothing weird ever happens in Indiana. After all, there’re no such things as vampires, werewolves, Greek gods, or fairies . . . right? Zephyr Addler has a problem. Her boyfriend, Timber, is now her ex, because she was keeping secrets from him. But what else can she do? After all, it’s not that easy being an elf in the middle of Brooklyn–especially when she’s not allowed to use magic to hide her family’s quirky elvin ways. To make matters worse, Bella, the meanest girl in school and Zephyr’s archrival, has vowed to make Zephyr’s life a living nightmare. Can Zephyr keep it together long enough to win Timber back, or will she give in to temptation and work some forbidden elven magic in the school halls? It’s not often you see an elf in the middle of Brooklyn, let alone a tall, blond, gorgeous elf in the middle of one of the most prestigious performing arts high schools in the country. And yet, that’s just where Zephyr Addler finds herself: smack dab in the middle of a bustling New York City school, worlds away from the secluded woodland community she knows so well. But Zephyr knows that she has to figure out how to live in the world. And dress in the world. Thanks to a little friendly advice from her new friend Mercedes, Zephyr starts to get the hang of Brooklyn. That is, until Zephyr snags a role in a commercial, beating out the most popular girl in school, Bella Dartagnan. Now with Bella and her friends out to get her, can Zephyr out-maneuver the mean girls (and catch the eye of a certain cute boy) without losing herself?